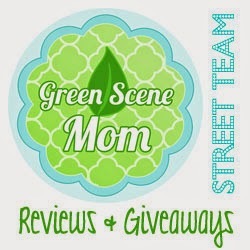 Trying To Go Green: Huge Nuby Giveaway 2 winners! Huge Nuby Giveaway 2 winners! Foam Bath Animals: Nuby's Foam Bath Animals bring underwater animals to your baby's bath! The characters float in the water and when wet will stick to the bathtub wall providing countless hours of fun! Plus they are all BPA free! You can purchase all the above Nuby bath toys and more from buybuy baby! Win It: Nuby has offered two super lucky readers all seven bath toys! Giveaway rules can be found here. This giveaway is open to US residents only and closes at 11:59 on March 20th.